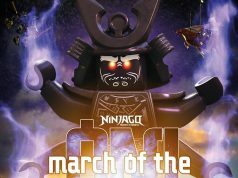 ComingSoon.net is reporting that there will be a LEGO Ninjago movie from Warner Brothers heading to movie theaters in the near future. Ninjago is one of LEGO’s most successful themes and now, it will get a full-length feature. Brothers Dan and Kevin Hageman will be writing the screenplay for the upcoming movie. They’ve also worked on The LEGO Movie which will be in theaters next February. The brothers also were the writers for the original Ninjago animated series on Cartoon Network. There’s not much information yet about the movie or the release date although it was mentioned that the storyline will go in a different direction from the animated series and will feature both Chinese and Japanese myths. Given that the movie will be a change of direction, will there be all new characters in the movie? We will see. 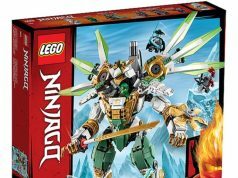 If so, we’ll also get to see if there will be new Ninjago sets to tie in to the movie.